The Business School I’m Applying To: Do I Need A Campus Visit? About five years ago I quoted now-retired HBS Head of Admissions Dee Leopold on the question of campus visits. The original post is deep in this “Direct from the Director” thread. In other words, don’t fixate on a strength (or weakness) you have with reference to any one strand of the application. You can have isolated strengths and weaknesses, but overall everything has to be at a high standard across the board. “Answer: We always welcome visitors to campus. It’s beautiful here and we have lots to show you. Do you need to make a pilgrimage in order to send a signal to the Admissions Office? Absolutely not. Visiting campus has absolutely no impact on how your application is reviewed. It may have a gigantic impact on how enthusiastic you are about US – that’s where the value-added comes into play. “Are we going to ask you to sign-in to an information session? Yes. Do we use that list in the evaluation process? No. So why do we ask you to do it? To track whether these sessions have any impact on whether an attendee chooses to apply to HBS or not, i.e. standard market research. If we found out that no one who attended an info session chose to apply to HBS, you’d better believe that we would make some changes! “When may I visit classes? This is the tough question. For those applying in Round One, it’s not possible to visit a class before the October 1 deadline. Why? Our first year students begin classes in early September. Our first priority is for them to get settled into the classroom. We have limited seats designated for visitors in each class – and we could fill them every day of the year. The faculty likes for the first few weeks of the first semester to be “students only.” We rely on the students in sections to be hosts for our visitors – and they really aren’t ready to do that right away. Class visits will begin in mid-October; information about the sign-up process will be posted on our website. “Applying to business school(s) is expensive and stressful. The last thing you need is to make it a scavenger hunt in which you need have ‘visited campus’ checked off the list. Visiting shows your interest, and if you can do it, do it. It is good for you because it will create in you a much sharper appreciation for the school and its particular form of MBA offering. It will help you refine your list of target schools, and make your applications essays more naturally enthusiastic and therefore convincing. In other words, visit for you, not for them. 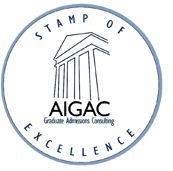 Visiting is not a formal requirement and is not weighed by the admissions committee in deciding whether to admit or ding you. People apply from 12,000 miles away: it must be so. Where possible, register your visit with Adcom. Note that campus visit programs typically only start when MBA programs begin (after Labor Day) and some programs like HBS delay class audits to allow new MBA cohorts to bed themselves down without distractions. The schools formal visit program will only take you so far. To go deeper into the school’s culture, get talking to students. If you walk up and say “Hi, I’m a prospective applicant, may I ask you about your experiences at this school…” it is likely you will get a friendly and informative response. 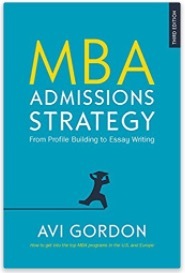 Previous PostBrevity is the Soul of Wit, War, and MBA Admissions EssaysNext PostFirst Round MBA Essays: Why Have Applicants Turned Into Monks and Saints?